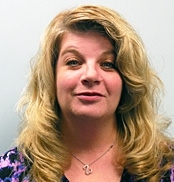 As the administrator of our Testing and Inspection Department, among Cathy's many duties is that she creates new testing and scheduling proposals, then follows up to obtain customer approval. Daily Cathy makes job tickets, schedules testing and inspections. Also, she reviews & closes all test/inspection job tickets. Cathy creates annual brake testing job tickets and ensures that they are completed. Cathy came to us with the purchase of Arco Elevator and has an extensive background in the elevator industry. She started in 1995 at All Safe Elevator in Brooklyn, at that time she assisted in expediting. She learned quickly and went out in the field learning what the mechanics needs were. In 2003, Cathy then started her own expediting company, working closely with various companies and assisting them in filing the paperwork for violations and testing with the City of New York. In 2005 Cathy started with Arco Elevator as an administrative assistant, her duties were to handle all violations, testing, permits, scheduling of conversions and arrange repairs.